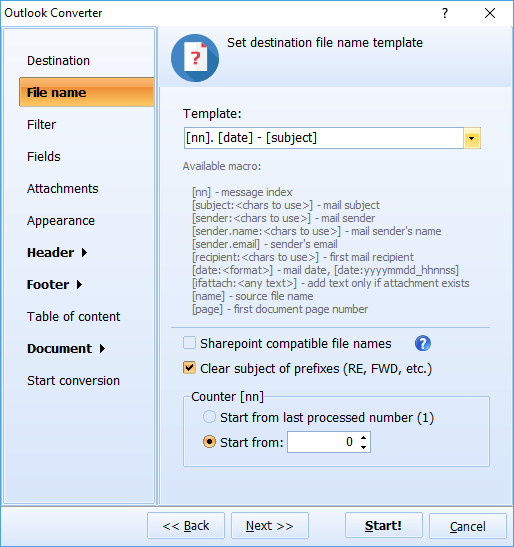 With the introduction of the OST format, Microsoft made a lot of Outlook users happy by giving them the ability to work with email files while offline. This is convenient for Outlook users, but what happens when you need to send a few files to someone who doesn't use the Outlook email client? For starters, you'll need to convert those files from OST to a more accessible format. That's where we can help! 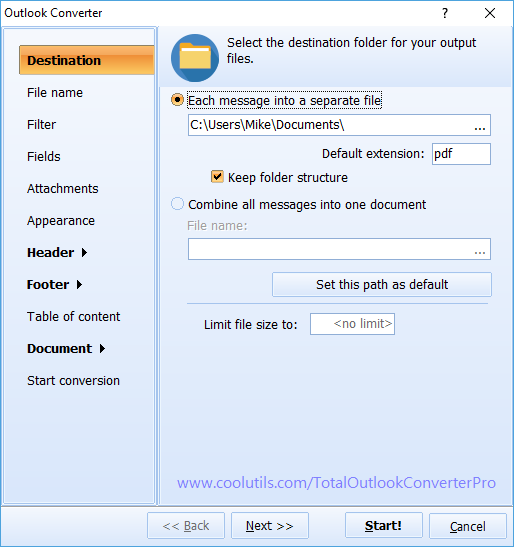 With the Total Outlook Converter Pro you can convert OST to TXT, and a variety of other more shareable formats. One look at our flexible OST to TXT converter and you'll be amazed by all the functionality we've built into it. 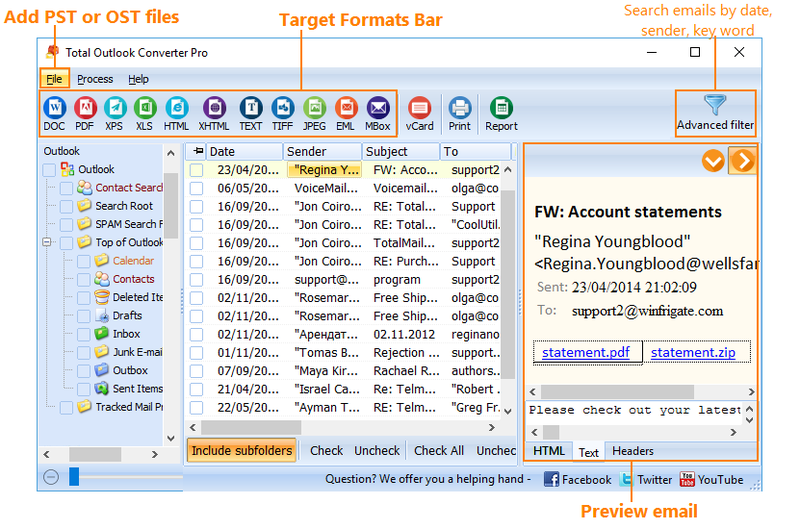 You see, the Outlook Converter Pro doesn't just convert from one format to another; it lets you make your target files even cooler than the originals. After millions of uses and loads of great feedback, we believe there's no other conversion software on the market that lets you do what we do. Combine several emails into one long TXT file. Whether you're looking to archive OST as TXT, or share an entire folder worth of emails in a more usable format, we have the tools you need. Check out our trial version today. See firsthand how powerful the Total Outlook Converter Pro can be, and the difference it makes in your workflow. You can upgrade at anytime for just $99.90 and gain access to the full functionality through our lifetime license. 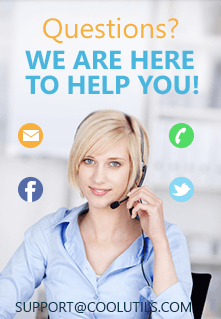 To learn more about our conversion solutions, follow us on Facebook, Twitter and YouTube.